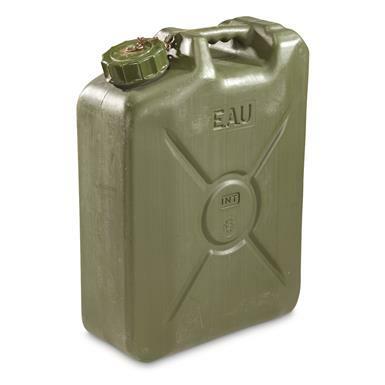 The classic military Jerry Can…as seen transporting water, fuel, you name it. Stores 20 liters (5.25 gallons) at a time, ready for when you need it most. Super-durable military-grade plastic construction. Pre-tested by troops, with plenty of life left for your storage and transport needs ahead.